Even though Korea is a small peninsula, it consists of many provinces and cities, such as Seoul and Busan. Jeju, the largest island in Korea, is one of those Korean provinces, and Jeju holds a special appeal to the world. After being selected as one of the 7 Wonders of nature, Jeju has been trying its best to keep up with trends in globalization by hosting several international conferences and competitions. Following the 1st International Electric Vehicle Expo (IEVE), Jeju island got another opportunity to host the 2nd IEVE, from March 6th to March 15th in the International Convention Center. The IEVE offered a venue to display trends in the worldwide electric vehicles market. Locals, visitors from mainland Korea, and travellers from abroad explored the Expo and were able to feel the enthusiasm of the Jeju people. 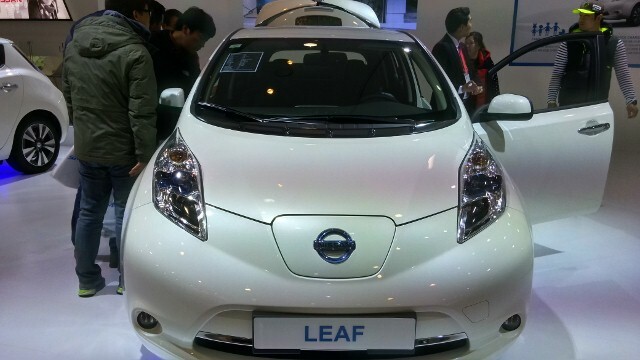 Visitors, from young children to the young-at-heart elderly, could learn about Korea’s highly-developed electric vehicle technologies at this Expo. Many EV manufacturing companies that produce electric cars, motorcycles, bicycles, motors, and other electric vehicle parts promoted their attention grabbing products. They prepared various events, such as parades, contests, trial-rides, and so on. Jeju has become an indispensable powerhouse in the Korean economy. It not only continues to contribute to Korea’s economic prosperity, but also to the social life, politics, and unique traditional customs of the Peninsular nation. In order for Jeju to keep up with the highly fluid and global tech industry of 21st century, the Jeju people, especially the young generations, will have to remain active and engaged in the activities, industries, and ideas such as those on display at the 2015 IEVE.